Please join us at 7pm on Wednesday, February 8th to welcome Caroline Woolard to the Visible Futures Lab's Artist in Residence program. 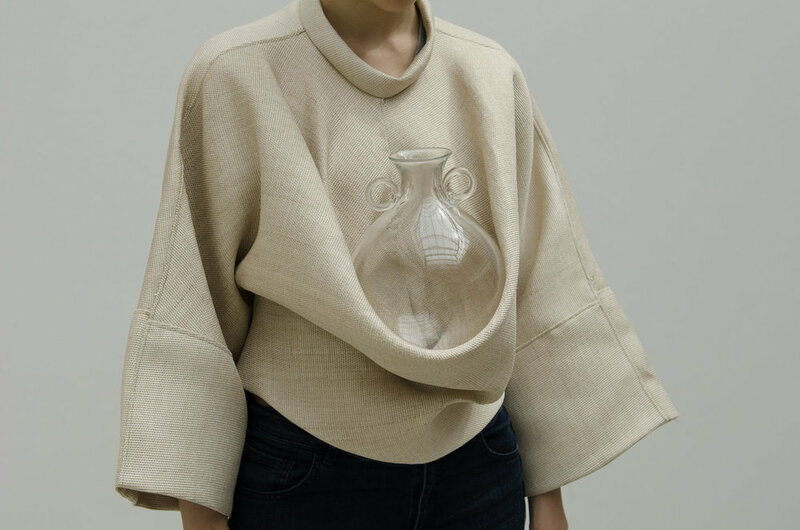 In her residency at the VFL, Caroline Woolard will produce CNC cork blow moulds that will be used by master glassblowers to create an edition of glass replicas of an ancient Roman vessel called an amphora. These vessels are a component part of Carried on Both Sides, a critical design project that traces the transmutation of an ancient Roman vessel into a common computer symbol -- the @ [at sign]. The project is made in collaboration with Alex Rosenberg, Helen Lee, and Lika Volkova and it will be exhibited at LMAK Gallery in the fall and presented in a documentary produced by PBS / Art21 for New York Close Up this spring. As an AIR, Woolard will also host an Idea Lab for students to provide support and resources to one another across departments at SVA. Please email carolinewoolard@gmail.com to be notified of the date of this event.